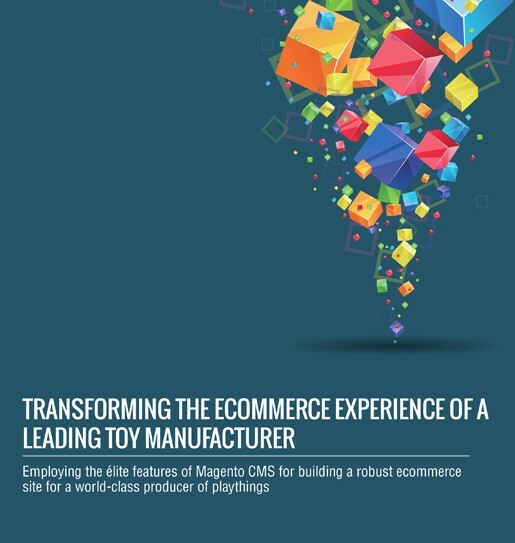 A US-based leading toy manufacturer committed to providing high quality and reliable products that inspire the architects and creators of future, required an ecommerce website that can help them as well as retailers and customers manage their online sales activities effectively. The client was looking for an affordable, but robust solution to handle online sales of their products (toys) to retailers as well as end customers. For this, they needed a resilient ecommerce solution, which facilitates integration of the ecommerce backend with their backend fulfilment system that manages shipping of their products. We customized the Magento based ecommerce solution by adhering to the requirements of the client and transformed Magento backend to an easily manageable interface. Read more to know how. Download your copy now!